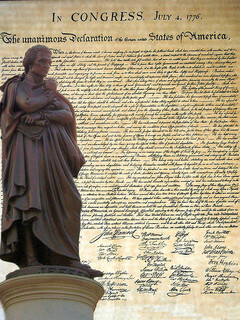 On July 4th 1776 the Continental Congress voted in favor of Richard Henry Lee’s motion for Independence. (It would be almost a month before the Declaration would be signed.) This was not a task taken lightly. Each man knew they were risking their lives. No one before had dared to stand up to the mighty British. I am sure that none of the signers were perfect but they found incredible strength to rise up and put it all on the line and lead. I really can’t image the courage it took to lead the way for our Independence. May we never forget! What other leadership lessons have you learned from the Founding Fathers?